Gianfranco Pezzino, Shawnee County's health officer, said Kansas is prone to large fluctuations in vaccination rates from year-to-year and said he hoped the KIDS COUNT numbers were a one-year anomaly. 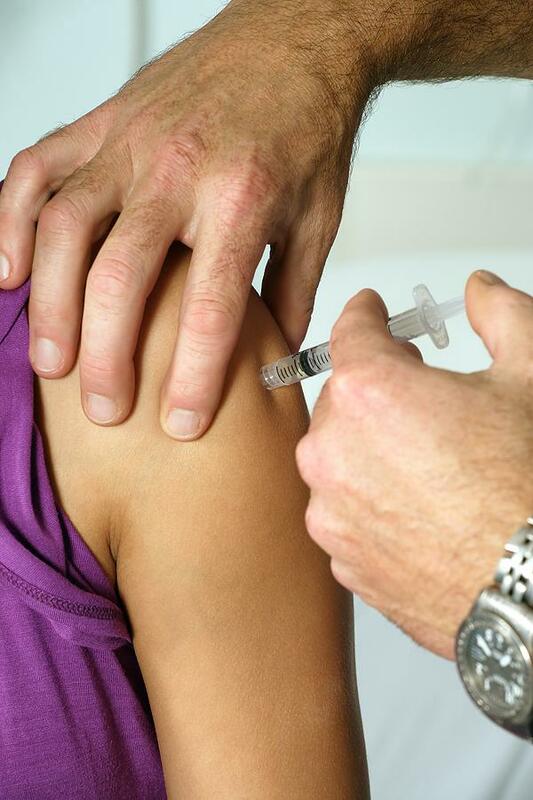 Cotsoradis said there was limited margin for error within the data, which was gleaned from the Kansas Department of Health and Environment's 2012-2013 Retrospective Immunization Coverage Survey. She pointed to confidence intervals for the individual vaccines that generally allow for a difference of about 2 percentage points. Cotsoradis said there's other evidence that supports the data's accuracy, including outbreaks of pertussis and measles in recent years. The 481 total exempted represented just 1.4 percent of the state's overall kindergarten enrollees that year, but many of them were clustered in the same communities, increasing the possibility of outbreaks. KDHE reported that three of the state's 283 school districts had 10 percent or more of their kindergarten students with an exemption. KDHE's kindergarten immunization coverage report showed the western part of Kansas has the highest vaccination levels, while "the counties and (school) districts with the greatest percentage of exemptions are concentrated more heavily in the eastern half of Kansas." Even as local health officials prepare for the unlikely event of an Ebola outbreak in Kansas, some have had their hands full trying to convince people in their communities to take basic measures to contain the spread of more prevalent, contagious and preventable diseases like measles and pertussis. Kansas has seen spikes in both illnesses this year, leading some health officials to issue orders of quarantine and others to ask people to voluntarily stay home. Those requests were not always well-received. Health officials in Kansas City, Mo. are bracing for the annual back-to-school “rush” of parents and children coming in for needed immunizations before school begins. Kansas state health officials confirmed two cases of measles in Johnson County Friday. The cases may be linked to four others on the Missouri side of Kansas City. Kansas Department of Health and Environment spokeswoman Aimee Rosenow says everyone at risk of exposure is being contacted, and the investigation into the two Johnson County cases is ongoing. One of the patients is an unvaccinated child, the other is an adult. "We're not certain of the vaccination status of the adult, but they are connected," she says.